Beware of late frosts and keep vulnerable plants and new shoots protected at night if frost is forecast. Don’t be tempted to put out tender bedding until much later on in the month, and even then be prepared to cover it if necessary. Deadhead daffodils and narcissi; give them a liquid feed or a sprinkling of bonemeal and then let them die down. Don’t cut off the leaves as they are necessary to replenish the bulb for next year. Keep deadheading spring bedding to keep it looking neat, and to encourage new flowers. Continue with the spring cleaning. Hoe your borders, getting rid of weeds before they take hold – annual weeds such as bitter cress and groundsel are enough of a nightmare without allowing them to go forth and multiply by seeding. If it’s dry, attack ground elder and the like with systemic weed killer painted onto the leaves. Mulch away while you can still see what you are doing and before the herbaceous growth really takes off. Use your own garden compost or leaf mould, well rotted manure, the contents of out-of-date grow bags or ready-made soil conditioner. Now the soil is warming up and things are starting to grow, add general purpose fertiliser before covering with mulch especially in borders, the fruit and vegetable patch and containers. If you have already mulched, draw it back (if possible), tease the soil a little, add fertiliser and replace the mulch. Carry on removing moss and weeds from paths, terraces and drives. Make new beds and borders – mark the shape with sand trickled from a bottle, remove the top layer of growing vegetation and dig the ground over, incorporating as much organic matter as possible. If you are making a bed in the lawn, remove the turf – if you dig it in the buried grass will regrow. Clean and repair your garden tools, book the lawn mower in for a service and check garden furniture for any rot. When it is warm enough, treat sheds, fences and trellis with wood preservative; brushes and rollers are fine for most things, however a sprayer is well worth buying for tricky projects such as woven panels! 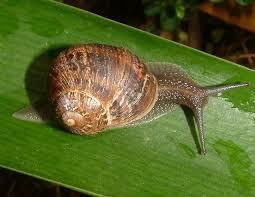 Now is the time to wage war on slugs and snails. They love tulips and delicacies such as the delicious young shoots of delphiniums and the like, so use pet-friendly slug pellets, and drench the ground around hostas with liquid slug killer to exterminate slugs below the surface. Keep an eye out for snails and pick them off – what you do with them is up to you. Birds are your friends here – flat stones artfully located are useful accessories for birds to practise their snail catching techniques. Birds will be building their nests now in preparation for laying their eggs. Do keep putting out bird food – they quickly become accustomed to regular food supplies and it’s a real treat to see wild birds in the garden. To encourage our feathered friends to visit, we stock a great range of bird houses and feeding stations as well as bird food – a great present for amateur and avid bird watchers alike. 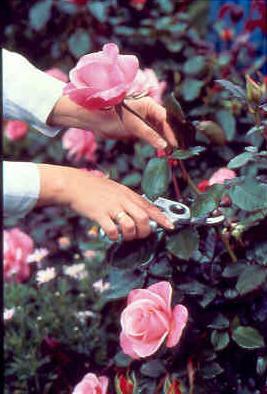 Finish pruning your roses and start spraying them with fungicide to ward against black spot and mildew. Repeat every fortnight until the autumn. Remember that if an infection sets in, all the stricken leaves must be burnt – do not leave them on the compost heap as this will become the perfect incubation site. Prune hydrangeas – do not remove stems with a bud at the top, but snip off old stems bearing deadheads to just above the topmost healthy bud and remove weak shoots altogether from the base. With established plants, remove some of the older shoots right down to the base – this will keep the plant compact. The latter also applies to forsythia (prune once it has finished flowering by cutting back flowered shoots down to a new shoot further down – all the new growth this season will flower next year) and to flowering currants (Ribes). Most lawns are looking a far cry from the emerald swards of last year. 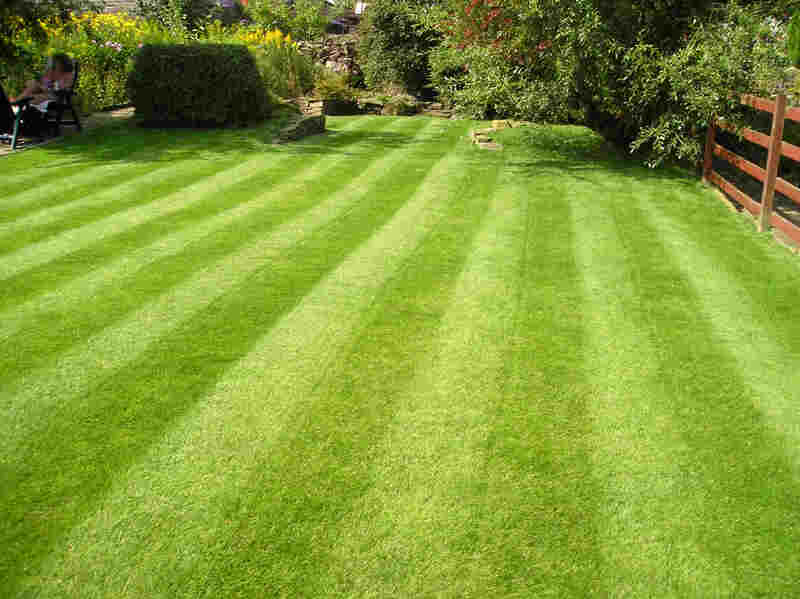 Unless the weather stays filthy and cold in which case it is better to wait for balmier days, feed with a spring lawn feed to encourage new growth (these have a high nitrogen content to encourage leaf growth), mow regularly (start with the blades high for the first couple of cuts), overseed bare patches and apply weed and moss killer. 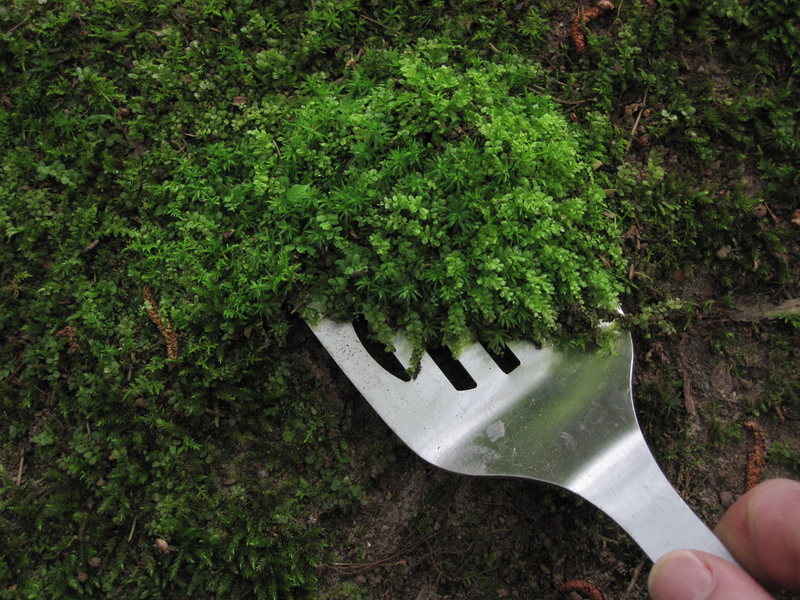 Rake out or scarify after applying moss killer or you will merely be spreading moss to the rest of your lawn! Now is the ideal time to sow new lawns on well prepared ground – if you are unsure, please ask for help and advice in the garden centre. Protect new spring shoots from frosts and slugs. Split clumps of snowdrops by digging them up, gently pulling them apart into bunches of 3 or more bulbs and replanting in dug over soil with some bonemeal incorporated into it. 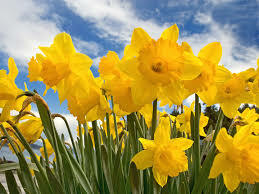 Make sure you work quickly so the bulbs don’t have a chance to dry out, and water in if the soil is at all dry. Sprinkle general purpose fertiliser on beds and borders and erect supports for herbaceous plants such as peonies, delphiniums and oriental poppies that would otherwise flop. Make your own using hazel or birch twigs for a natural look that will fade into the border as your plants grow. Carry on lifting and dividing overgrown clumps of perennials and split polyanthus plants once they have finished flowering. Plant hardier summer bulbs and unsprouted dahlia tubers (at least 4 inches deep in good, rich soil). 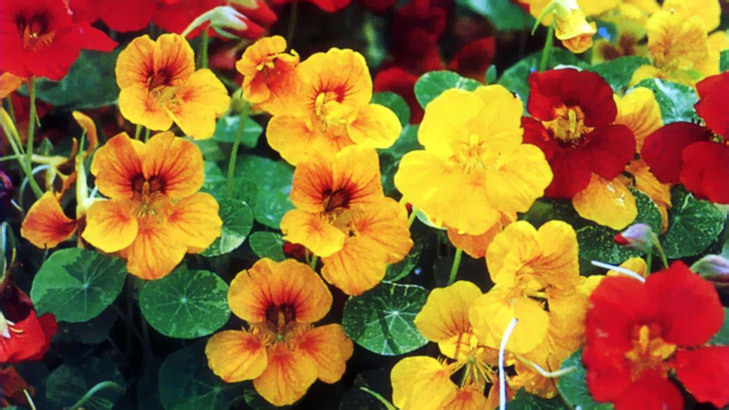 Feed your pots and containers and brighten them up with cheery primroses, violas, pots of spring bulbs and spring heathers. Packing them densely in single colours makes for a stunning display – or try combinations like cream and regal purple for a striking impact. Summer bedding is now available in the centres as young plants for you to grow on – much easier than growing from seed or cuttings. Remember though, do not be beguiled by the odd warm day – frost will wreack havoc with these plants unless protected and slowly hardened off. If the weather really does turn dry, remember pots and containers will need watering, especially if they are near a wall and in a sheltered position. Take care not to overwater. The fruit garden is one area where there is not a lot to do in April other than admire the blossom and ponder the harvest en route! Plant strawberry plants in planters or hanging baskets for a pretty and delicious crop this summer. 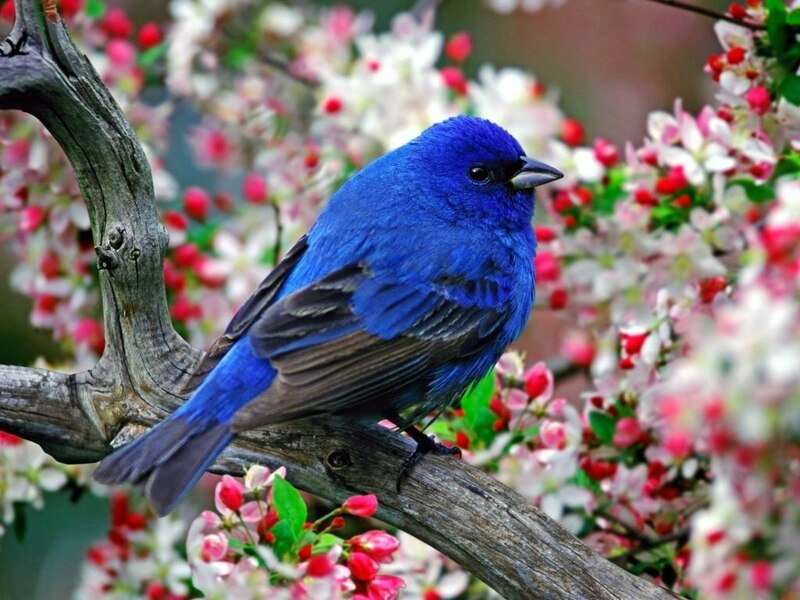 Protect fruit trees and gooseberries with netting; birds love developing fruit buds and your entire crop can disappear with astonishing speed unless protected! 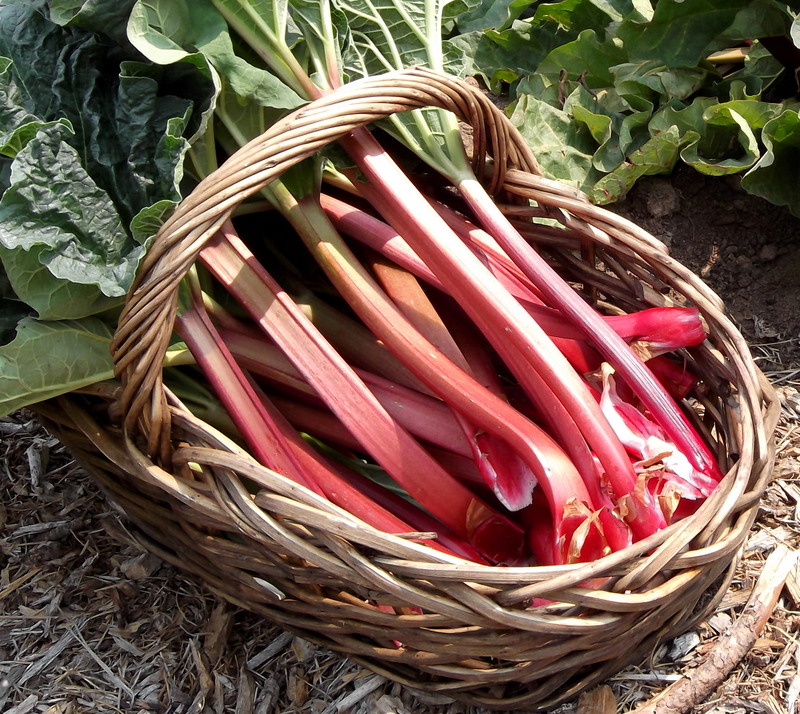 Check your rhubarb; harvest it if it has grown, or if it is still in its infancy, keep the forcer on. To encourage faster growth, cover the forcer with horse manure; the heat will produce even more dramatic results as it rots down – and don’t forget that slugs enjoy forced rhubarb just as much as we do, so be vigilant! The centres are now full of plantlets of vegetables, salads and herbs. For those that find growing from seed daunting, this is the ideal solution! Remember many need hardening off so be wary about planting them straight outside – ask in the centre for advice if you are unsure. Many vegetable crops can be sown as seed this month – check the instructions on the packet and plant away! Broad beans, carrots, lettuces, spinach, salad leaves, leeks and chard are just a few ideas to get your healthy, cheap and home-grown food underway! Traditionalists plant potatoes on Good Friday – plant first and second earlies first, main crop by the middle of the month. 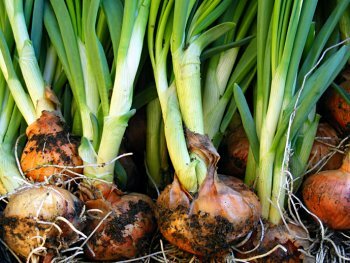 Plant shallots, garlic and onion sets as well as asparagus crowns in friable well-drained soil. If you have a frost-free greenhouse, get ahead with the summer crops – sweet peppers, tomatoes, aubergines and salads can be planted inside. (If it remains cold, check the temperature requirements on the seed packet and wait if necessary.) Again, we sell many of these as plants in our garden centres.